Suzhou Thriven Safety Products Co., Ltd.
BLUE DIVE INTERNATIONAL is at the forefront of Leather Apparel manufacturing representing Fashion and Motor-Bike Leather collections for both men and women. BLUE DIVE INTERNATIONAL Limited stands apart as the first choice for global sourcing in the highly competitive arena of Leather Apparel manufacturing. JAWAD ARSHAD, BLUE DIVE is today Pakistan's leading leather apparel Our achievements include the "Best Export Performance Trophy" awarded repeatedly by the Government of Pakistan, since 1998 for being the largest exporter of finished leather apparel to Europe & the United States. 3. We can also customize the poly bag and carton with your own design and logo. You can tell us more details that we can quote you with the price. But we ensure that we can give you a best price and the quality. 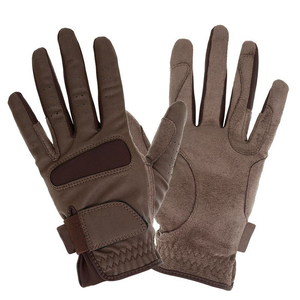 Alibaba.com offers 108 horse back riding gloves products. About 9% of these are riding gloves, 6% are racing gloves, and 1% are other sports gloves. 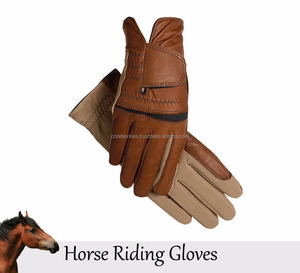 There are 27 horse back riding gloves suppliers, mainly located in Asia. 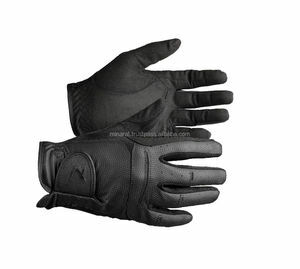 The top supplying countries are Pakistan, China (Mainland), and Taiwan, which supply 51%, 40%, and 7% of horse back riding gloves respectively. 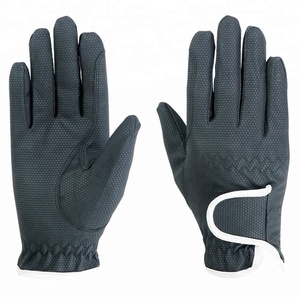 Horse back riding gloves products are most popular in South America, North America, and Northern Europe.